Sydney holiday rentals are a high demand for thousands each year. Apartments in Sydney are greatly located so you will never be to far from one Sydney famous tourist attractions or one of Sydney's great beaches. Sydney apartments are modern and fresh to blend in with the urban surroundings. Most Sydney apartments do not come without a breathtaking view plus the hot weather make this a true city paradise. 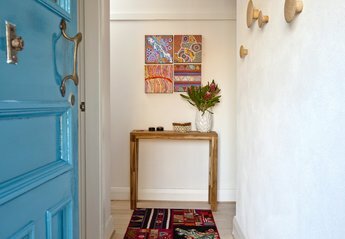 Found 83 holiday rentals in New South Wales / Sydney. perfect location, an apartment for 4. Two double-bedroom 20th floor apartment in prestigious, award winning, modern central Sydney building with exceptional views over city skyline, Sydney Harbour, Opera House and Harbour Bridge. Bordering North's Sydney's commercial and residential districts, this apartment is conveniently located for transport, work and shopping. Experience the spectacular landscape of Sydney Harbour from your dining table in this 2 Bedroom Kirribilli apartment. A beautifully situated 3 bedroom house only metres from Sydney's famous Manly beach. Great 3 Bedroom Apartment in ideal location. Moments to shopping, restaurants and transport, Forum St. Leonards Station. Brand new 1 bedroom executive apartment. This apartment comes fully equipped with all modern conveniences for a comfortable and enjoyable stay. Spectacular Harbour views from this fourth floor spacious one bedroom apartment. Treat yourself these holidays, by spending your vacation in a superb family home at the top of Balmoral Slopes. This fantastic, modern apartment features 2 bedrooms sleeping to 3 people, perfect for the small family! With a leafy aspect from the Balcony, you will feel right at home close to the hustle and bustle of Mosman. Modern security apartment in the heart of St Leonards. The apartment has been tastefully furnished to provide comfort and convenience. This magnificent beachside retreat with 3 large courtyards, entertaning balcony with stunning Balmoral beach views. This lovely 2 bedroom apartment is situated in a prime positon, minutes away from Coogee Beach. This bright sunny northerly aspect apartment is right in the middle of the Stanmore district with modern furnishings and easy bus travel to the city. 1 bedroom luxuriously appointed apartment with S/E aspect. Modern security building offering lifestyle extra such as like Gym, Spa, Sauna. Luxury apartment, 145 square metres. The apartment faces north of the harbour with great water views and the complex has its own private marina for water taxi access. Luxurious and spacious 2 bedroom apartment located close to transport, shops and restaurants. Minutes to CBD. Fantastic apartment in central CBD. All modern conveniences inside the apartment. Great location for shopping and easy access to all forms of transport. Wake up in the morning and enjoy breakfast gazing out to the City and Harbour. This immaculately presented apartment has postcard city views, ready to move into and enjoy. Excellent one bedroom apartment, in the harbourside suburb of McMahons Point, on the lower north shore, walking distance to North Sydney, 20 mins to the CBD. We found 83 holiday rentals in New South Wales / Sydney.